The pansexual artist is nominated for Album of the Year. 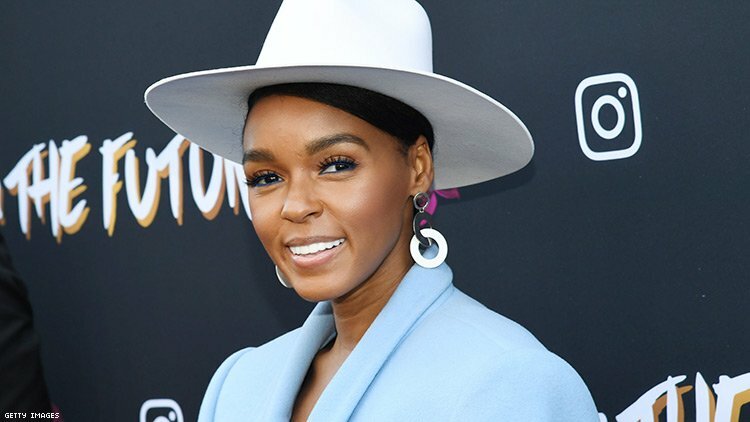 Janelle Monáe has dedicated her nominations at the Grammy Awards to her "trans brothers and sisters." “My trans brother and sisters, they do it every day. And they are shunned from these sorts of events. So this one is for them,” Monáe told out Variety reporter Marc Malkin at the Fem The Future Brunch in West Hollywood, Calif., which was cohosted by Monáe and Instagram. Monáe, who came out as pansexual in 2018, received two nominations from the Recording Academy this year. The first is her to paean to labia for “Pynk.” And her singularly innovative Dirty Computer earned a nod in the Album of the Year category. When Monáe received her nominations, the singer shouted out to underrepresented and under-recognized artists. "Being a young Black queer woman in America, there was something I had to say and there was a group of people that I wanted to celebrate, and I’m happy to be representing them," said Monáe, who also starred in last year's Hidden Figures. "I hope they feel seen; I hope they feel heard; I hope they feel loved, and I hope they feel celebrated. This is for you!” she said. Additionally, Monáe discussed how important it was for her to be an out artist — even when there were those who cautioned her against it. Root for Monáe at the Grammy Awards this Sunday on CBS.